Texas, sitting on the border with Mexico, is one of the largest of the fifty United States of America and some say it is like a country in itself. The landscape is comprised of prairies, grasslands, forests and deserts, as well as a stretch of coastline looking out over the Gulf of Mexico. They say everything is bigger in Texas, USA so get planning your Texas motorhome rental vacation because there is a lot of ground to cover! There are several agents offering campervan and motorhome rental in Texas; most offer the opportunity to book online and avail of special deals and discounts. To ensure you get the cheapest campervan rental Texas, book online, which will compare prices for your desired Texas campervan rental to obtain the best deal. You’ll find great agents such as Pure Motorhomes, El Monte motorhome rentals, Compass Motorhomes and Moturis campervans in Dallas, Texas; as well as Cruise America in Houston, Texas. If you pick up your campervan rental in Houston, Texas; you are perfectly poised to begin your journey at Guadalupe River; where you can enjoy everything from tubing to some of the best trout fishing around. Continue westwards towards the limestone Hill Country State Natural Area. Hill Country Equestrian Lodge offers hiking and horse-riding trails to let you stretch your legs and see the country from another perspective. Explore the city of San Antonio, then get back out into the open air at Fredericksburg, where you may decide to hit the bicycle trails through the stunning nature. 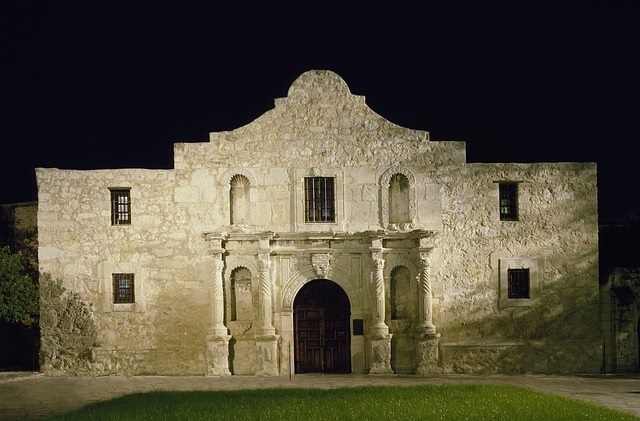 Travelling onwards in your Texas campervan hire or RV rental in Texas, San Antonio is where you will find The Alamo, once a Christian Mission occupied by missionaries and Indian converts; it eventually became pivotal in the Texas Revolution. In a heroic struggle, Texans held off the Mexican army for thirteen days before they were overrun; it remembered as a symbol freedom and fighting against the odds and known as the Shrine of Texas Liberty. 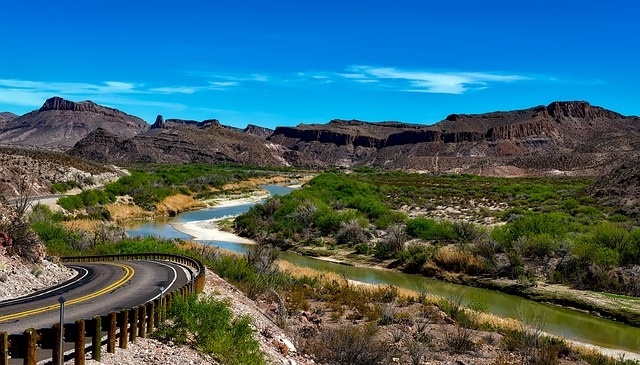 Whilst there take a drive to scenic Big Bend National Park and the Rio Grande River in West Texas. A frontier region facing Mexico, there is a line of more than thirty protective forts and outposts in the wild and remote no-man’s-land between the frontiersmen and Native Americans, whose territory was being eroded. Fort Worth is located just outside of Dallas, Texas and a good starting point for the Forts Trail. Learn the complex history of this region that helped to establish the State of Texas we know today. Highlights on the Historic Forts and Presidios Route include Fort Davis, The Alamo and Fort Defiance. Fort Mason, erected to protect German settlers, eventually became Mason County. Mason Town is a historic area and famous for Topaz gem stones. See the statue of Old Yeller, as the author of the book, eventually made into a Disney movie, wrote the story while in Mason; you might even be lucky enough to be in town for Old Yeller Day! All along the trail are beautiful camping parks and facilities for Texas motorhome rentals. You can’t spend time in Texas without getting into a little – or a lot of – cowboy culture! 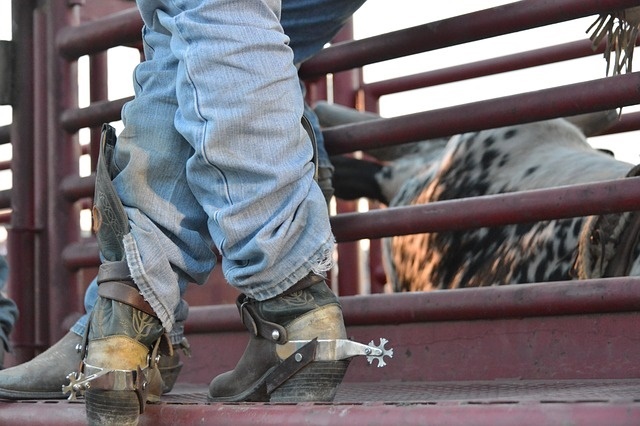 There are several cattle trails throughout the State, and the Rodeo is alive and yee-hawing today. Get off the main route in your campervan hire and RV rentals in Texas and into some rural towns to fully experience the big hats and bigger belt buckles adorning the cowboys and cowgirls. Check out the quintessential southern food with a bowl of chilli, a barbeque or the unique themed menu at McDonalds!